COMMENTS: Bought this to hold better in my cold process soap. I have not had any problems with it. COMMENTS: This orange gives citrusy blends a jump start...smells strong & sticks well into 6 weeks cure time. It discolors slightly. A favorite on its own or blended. COMMENTS: This is my family's favorite fragrance. I have order this 3 times. COMMENTS: I love the smell of oranges and this is one of my favorites. "Need this for many EO recipes"
COMMENTS: Anyone who likes fruit scents and prefers natural soaps needs this EO! "The BEST Orange Essential Oil!" COMMENTS: I had tried other brands and strengths of Orange Essential Oil and was always disappointed with the outcome. Every other brand faded, especially in CP soap. This oil holds the scent, although I do use the max amount allowed. 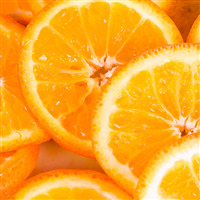 Customers love the sweetness of the orange fragrance and I have used it in soaps, lotions, oil blends and room sprays. I have purchased this again and again and will continue to do so. Truly "sunshine" in a bottle! • Everything but the price! COMMENTS: We used this oil for a cold process soap and it was wonderful! The smell just lingers and smells like a juicy orange We noticed no loss in volume of smell as it aged. "Pleasant & long lasting scent"
COMMENTS: Especially love this citrus orange as it does not diseppate as other citrus oils...a customer favorite! COMMENTS: It can bring quick trace in the recipe I tried it in, unlike other essential oils in the same recipe, but I think that is the nature of clarified essential oils. Just be prepared for it to go quickly if soaping with this oil. I appreciate the ability of the product to perform as expected. I was very pleased. It made great soap and I will continue to purchase! COMMENTS: This scent really sticks, and doesn't discolor my soap. "Cold Process and Melt and Pour Soap"
COMMENTS: I love adding this to my orange scented soap. It intensifies the fragrance. COMMENTS: Great smell. Love essential oils. Behaves well in CP soap. COMMENTS: I love this EO! I am a huge fan of Sweet Orange, and originally only used it in scrubs and other products that weren't heated. I am SO happy that this one holds well in CP soap. I mix it with Ylang Ylang and use it in my salt bars. The scent is nothing but "happy" :) In spite of the drastic price increase recently, I will definitely purchase more of this when my bottle gets low! COMMENTS: This wasn't bad but I like the colored orange essential oils better. When going for a 100% "natural" bar of soap having orange oil that's orange is great as you need to use less paprika or other color. This one was much harder to get a good orange color. But this would be an advantage in other applications, jut not all natural cold process soap. COMMENTS: Very orange. Just what I expected. COMMENTS: A little goes a long way with this EO. Great for Blending or on it's own. COMMENTS: The scent of this essential oil lasted in the cold process soap and smelled great. It is also really nice combined with other essential oils. I use this a lot and will continue to get it. COMMENTS: Knowing that lemon, lime and orange does not come thru or hold up well in CP Soap, I tried the 15x. I love, love, love it. The scent is not strong, but still there just to add that little extra. I will continue to purchase this particular orange EO for specialty soaps! COMMENTS: This citrus really holds its scent in CP. Love this EO! COMMENTS: Man, I wish they had 15x fold options for all the EO. This stuff is strong and I instantly win someone over when they smell the orange salts I make. Smells like fresh citrus. No discoloration in salts either after 3 months so thats a plus! Ive been experimenting with adding it to other products because people like the smell so much. COMMENTS: I love this orange oil and want to eat it! I use it for perfume around Christmas season with almond, clove and patchouli and get asked all the time what that great smell is! "Can Only Speak for use in M&P soap"
COMMENTS: Specifically in melt and pour soap, it's not orange enough. Perhaps it is too well refined and whatever makes an orange smell like an orange has been removed at this point. 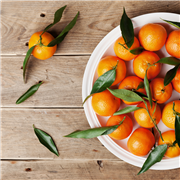 It smells more like the peel than the other orange essential oils such as sweet orange, blood orange etc., which smell more like the fruit. I'm sure it has its uses in cosmetics where photo-toxicity is a concern, but in a rinse off product as soap we want orange to smell like orange. For this batch I'm going to have to change the label to read "Lemon & I Swear There's Really Orange In This". COMMENTS: This is a very nice eo for soaping, not only for where you don't want the soap to turn yellow as with regular orange eo, but also because of its bright, fresh-peel aroma. It adds a different dimension beyond juiciness. This would be great in pomander scents and potpourri for the holidays too. COMMENTS: I used this with grapefruit EO and liked how it smelled but it just didn't stick very well in the soap. Will be trying again to see if I can figure out how to make it stick better. COMMENTS: Love this essential oil. It smells wonderful and holds up well in Cp soap. "Refreshing: I love this EO it's divine"
COMMENTS: Great natural orange scent. COMMENTS: This is one of our favorite essential oils. Strong, holds well in CP soap, delicious orange smell. COMMENTS: I love this essential oil. It even makes it through the harsh CP soap process. Great in mechanics soaps for cutting grease too. • Holds up to CP soap process. COMMENTS: It actually sticks in cp soap! When I used standard orange eo in soap once, the scent had vanished before I could even unmold it. This EO has faded a little after the cure period, but only a little. Very impressive! Also there was no discoloration, acceleration, or ricing with it. All around, a winner for those who want a citrus EO that can be used in cp soap! I wish more citruses had folded versions! COMMENTS: Love this EO, WSP used to carry a scent called orange grapefruit which my customers loved, so I bought this & the grapefruit & combined, my customers are so happy again. Took a few tries to get the right mixture but it sells like crazy in everything, & everyone loves that is EO instead of FO. COMMENTS: This is a beautiful, juicy, delicious orange. I can't imagine going back to others we have used! COMMENTS: This is such a clear, fragrant, sweet scent...it really evokes the image of a juicy orange right in your hand. I used this with a smidge of clove EO and it blended fabulously! I can't wait to see how this holds up in my CP soap. COMMENTS: I love this orange EO. It smells like a freshly peeled orange. I find that I don't need to use as much to get an orangy citrus scent in my soap. I bought a small bottle just to make sure I liked the scent and now I wish I had invested in the larger bottle. Oh well, next time. COMMENTS: I like the fact that this citrus stays in my CP soap. Great for blending as well! COMMENTS: Holds up well. Strong great to blend with. "Orange 15X Clear Essential Oil"
COMMENTS: Many of my customers are citrus lovers, and this is a wonderful essential oil to add to lotions and lotion products. The benefits and aroma are both excellent! COMMENTS: I get so many compliments on this fragrance that I can't believe it! It's somewhat sweet, but worked really well in lotion bars. Most notably, it's holding the scent so far. I get so many requests for citrus scents, and this one is a keeper. "loved this essential oil !!!!!!" COMMENTS: I love this essential oil hold very well in cold process soap and wonderful in lotions will order larger bottle on my next order. "Powerful, long lasting orange aroma"
COMMENTS: This product should be a secret weapon for every soap maker and a safe bet for beginners as well. It's a dirt-cheap essential oil and a mind-blowing 15 fold concentrated. Best of all its clear, and one of the few orange essential oils that can boast this. Even at .5oz/lb, this EO behaved perfectly and never accelerated my trace at all. The aroma is one of the most powerful I've ever used, and smells heavenly. • difficult to decant from a 4oz bottle. COMMENTS: I am so elated that i can buy the 15x orange essential oil here. Great price & the fact that you can add this to your lip balms is wonderful. Until now i had been buying my 10x orange from Bramble Berry. While i still love Bramble Berry. The extra shipping cost and almost a 2 week wait for delivery at any given time was TOO much. Especially when in a rush to fill orders and suddenly run out. Another difference is the 10x from bramble berry cant be used in lip balms because of photosensitive properties. BUT with this 15x orange its safe to use and clear. Needless to say I'm sold & will be buying my orange essential oil from here, from now on....Period! COMMENTS: Two thumbs up, very east to work with, smells define and stays strong in cured cp soap. COMMENTS: I've made several batches of Orange EO bath bombs with this wonderful oil and there hasn't been one person - including me - who can find any fault with it in any way. The smell is heavenly whether it's emanating from inside the bottle - or from a dried bath bomb. I bought the two oz bottle, but knew after the first sniff I'd be purchasing this in industrial-vat-size in the future. It apparently rocks the bath scene when the bombs are used as well according to the reports I've received from those who just used one I made. EO's are difficult for me to afford budget-wise right now as they are more expensive than fragrance oils; but this is one I will ALWAYS find a way to purchase. There just aren't any comparable substitutes . . . COMMENTS: It must be the 15x that makes the difference- this has been sticking in my soap way better than some other citrus oils I used. I mixed this with Cinnamon and Clove and everyone loves it. "Good for blending; sticks around a bit longer"
COMMENTS: I use this in a blend with clove and patchouli. The scent sticks longer, especially when mixed with kaolin clay in the MP soaps. COMMENTS: This EO was clear, unlike many orange scents that have a brownish color to them. I did add annatto seed powder to this batch of cold process which gave it a nice orange color and adds antioxidants. COMMENTS: I used this scent with patchouli in CP soap. 6 weeks out there is still a very strong orange scent. Behaved well! A little goes a long way. COMMENTS: I love this oil. It is sweet, fresh, and warm! COMMENTS: Clean scent and the smell really lasts!! COMMENTS: Just made an orange honey scrub and the aroma in the room was delightful. Can't wait to add in mint and see what comes out next time. I really liked the scent and it blended well with the other oils. "Love the pure orange scent"
COMMENTS: This comes through great in HP soap. Anchoring with a small amount of clay or arrowroot increases staying power. "need more staying power "
COMMENTS: I looooooove this smell! I used it in my CP soap, and everyone loves it! Definitely my favorite orange EO! COMMENTS: This is a serious orange fragrance. It works great in M&P soap in my pedicure soap. My customers love the orange fragrance. COMMENTS: This is so sweet and intense, especially compared to regular orange. Can't wait to use it in salt bars along with the kaolin I got. My only regret is not getting some pipettes to remove it from the bottle with. "Fragrance seems a bit off, but still good in soap"
COMMENTS: The fragrance doesn't smell like true orange to me but I like that it's clear and didn't discolor my soap at all. It does hold the scent longer than regular orange EO. 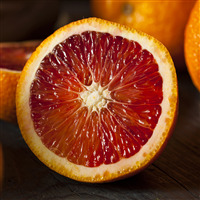 COMMENTS: I've been using blood orange or sweet orange essential oil and have to use a lot combined with some kind of base note to get it to stick in cold process. What a surprise when I tried 15x orange....wow...used very little and it still produced a beautiful orange scent that lasts! Will definitely be buying more. COMMENTS: I LOVE this essential oil. It smells so fresh and happy. I use it with other citrus for a great invigorating sugar scrub in the morning. It's a great way to get going in the morning! COMMENTS: This EO is such a great scent and very strong. Can't wait to use it in my CP Soap. COMMENTS: Perfect for soaping when you are not looking for that orange tinge from "regular" orange essential oil. COMMENTS: Smells incredible. Worked well in CP soap. Getting ready to try in lotion bars. This is definitely a keeper. COMMENTS: Love the crisp citrus scent. Mixed very easily into all bases and blended very well with other scents. COMMENTS: Love the natural aroma. Only tested in home fragrance so far, but will be expanding. Very affordable essential oil for starters too. "A Little Goes a Long Way! A++++"
COMMENTS: I love this EO, it is my favorite. I use it for a variety of homemade remedies and also for aromatherapy. I put this EO to put in my soapstone burners when we are sick. It helps congestion and gives us a relaxing and uplifting feeling. I also use it for my foaming hand soaps, a face wash and for cleaning. It has become a family favorite. We can not do with out it! Please keep this in stock. Thank you! "No Better Orange out there!" COMMENTS: Please ignore my review and forget how amazing this stuff is. I want it just for me. If I tell people how much of this stuff I use and how fast it sells I may have to start making it myself so we don't see supply run low. Seriously amazing stuff. 15X is far more heat tolerant than your basic Orange and it is just perfect alone of mixed with another E/O. COMMENTS: I usually use plain orange EO in my soaps. I recently blended with ylang ylang and sandalwood. The orange rounded it out very nicely. I'll definitely purchase again. COMMENTS: I love this Orange eo. It holds up so great in cold process soap that I'm even amazed! COMMENTS: I love this orange eo, just busting with orange fragrance. Scent holds much better than any other orange eo I've ever used. COMMENTS: this EO smells just like a ripe, juicy orange. COMMENTS: I love the smell of this EO. It works in soaps and bath fizzles really well. "Holds up well in hot process"
COMMENTS: This is a nice, strong orange scent. It holds up well in my hot process soap and I usually add a complimentary base (patchouli or ylang ylang) to help it stick longer. COMMENTS: Very nice scent for CP soaps - holds up well - soap curing for 5 weeks now and still going strong. Easy to work with - no acceleration. Will buy again! 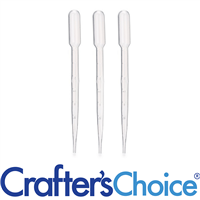 "Crafters Choice™ Orange (15x Clear) EO - Certified"
COMMENTS: I like that it is strong, able to use less product. COMMENTS: I have used this oil in my homemade laundry detergent, CP and HP soap. Did not accelerate for me. "great when you want the smell of orange w/o color"
COMMENTS: I love citrus oils in my soaps, but I don't always want the orange color, so this is a great alternative to use for the other citrus EO's. Plus it has the concentrated scent to help it last in CP soaps. COMMENTS: I love the way it holds up compared to Orange EO, smells so wonderful. I anchor it in my CP with a little clay and it has really been amazing. I can not rave enough. COMMENTS: Sweet oranges. Nothing more nothing less. Slightly discolors soap to orange hue but holds scent way better than just orange essential oil. COMMENTS: Holds up well in my CP soap and in my hand creams. COMMENTS: This is such a powerful scent, and that is not a bad thing. It's 15x so it should be. It's awesome to use in soap because you don't need to use it as much. "What is the staying power of the Orange (15x clear) essential oil scent in CP soap? Is this stronger than regular orange essential oil?" Staff Answer The 15x Clear means the oil is 15 times clearer than regular orange essential which is more orange in color. It has the same staying power as regular sweet orange essential oil. "What percentage do you recommend for CP soap? 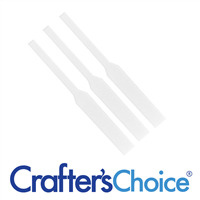 (Crafters Choice™ Orange (15x Clear) EO - Certified 100% Pure 602)"
The IFRA guidelines (under the Documents tab) specify a maximum use rate of 5% for soap. That would be 0.8 oz ppo. "I have a recipe: 12 sweet orange, 3 cinnamon, 1 clove bud. I don't have sweet orange, but bought your 15x orange instead. 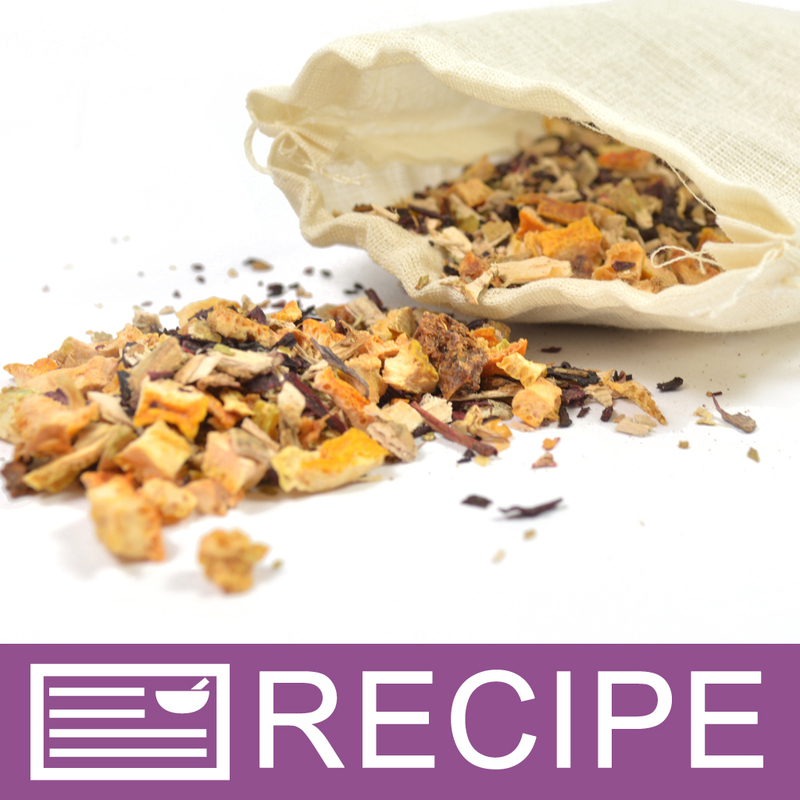 How much 15x orange would I use to substitute the sweet orange in this recipe?" "Could your EO's be used in cosmetics? I am thinking specifically of lip balm which might accidentally be licked off. " Staff Answer All of our Essential Oils are safe for use in cosmetics at varying percentages depending on the specific cosmetic. Check the IFRA Document (located under the Documents tab for the specific EO) for the maximum amount of the EO that will be skin-safe in a given product. "What is meant by (15x Clear)? " "What does "15x Clear" mean in the Orange (15x Clear) Essential Oil?" Staff Answer The 15x represents the further distillation and concentration of the oil. Folded oils tend to be more pure in aroma.